You guys know that I love and adore Japanese sewing books right? I mean, I did an entire series on them. How to buy, decipher and sew with them even if you don’t understand a bit of Japanese. Well, if you didn’t know that I love Japanese sewing books, now you know. And I truly believe that anyone can sew from these sewing books without knowing any Japanese. BUT I also truly believe that there is no reason to make things harder for yourself than necessary. So now that the ever popular Happy Homemade Vol. 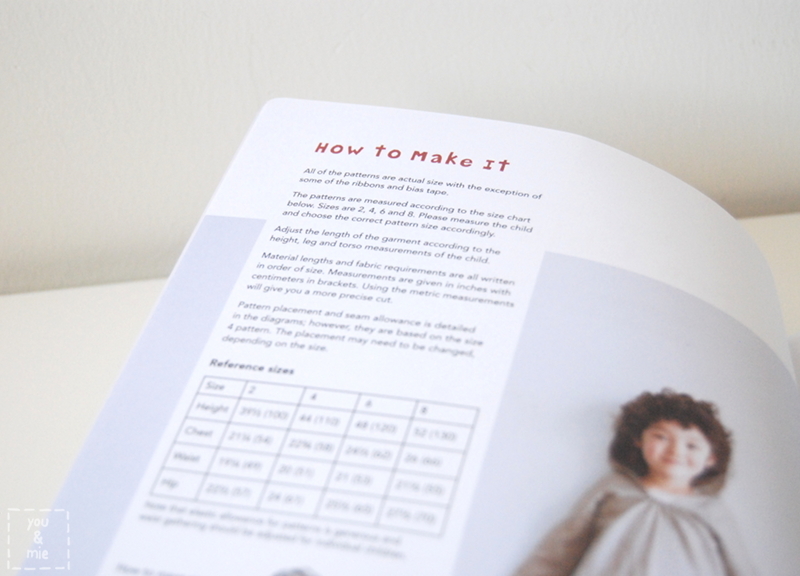 2 has been translated into English, I am psyched because, not only is this a AWESOME book of patterns, but it’s also a great way to familiarize yourself with Japanese sewing patterns without dealing with the foreign language! 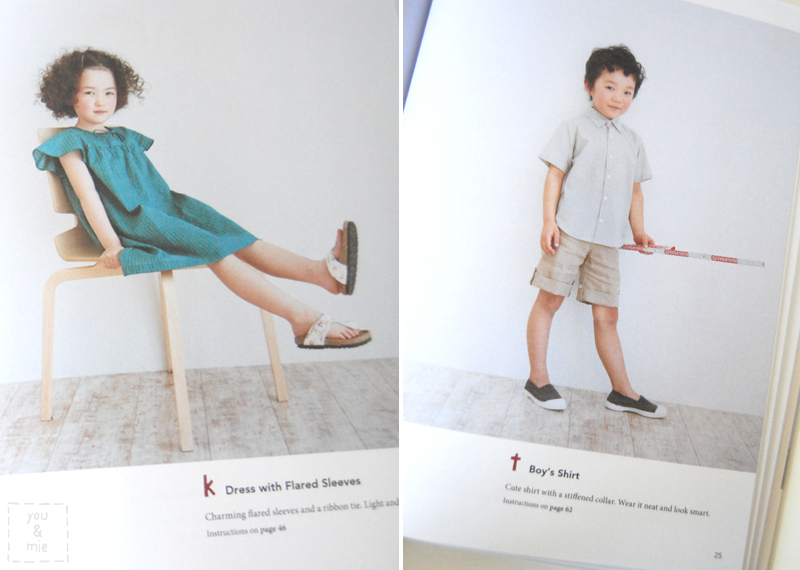 Here it is, Happy Homemade: Sew Chic Kids! In this book, you get 20 patterns. Dresses, shorts, shirts, skirts, blouses, pants, and a pullover. There are a lot of great basic patterns that you can basically build a wardrobe from and I love that there are patterns that are for girls, boys, and plenty of gender neutral stuff. And all REALLY CUTE! This Pull-over Parka is high on my sewing to do list!! The English version is very similar to the original Japanese book. 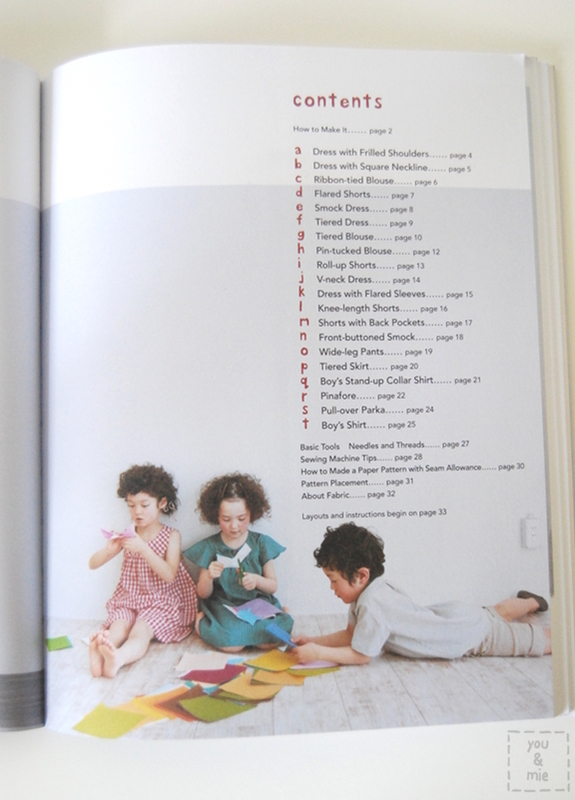 The format is the same, with gorgeous photos of the finished products in the front and all the directions for each project in the back. The instruction pages are also laid out the same way as the Japanese book. This part is often tricky to decipher in Japanese, so having it in English makes it a breeze. The best part in my opinion, is that you can learn so much from seeing a Japanese book in English that you can then use to help you with sewing books that are actually in Japanese. This book makes a great teaching tool in so many ways. Here’s a little look at a diagram from the English version of the book and the same one from the Japanese version so you can compare. Same great drawings, but labels, instructions and hints in English! Yes! Another plus . . . all the measurements are listed in inches and centimeters! The patterns in the book come in four sizes that are labeled 2, 4, 6, 8, but be careful because those aren’t the same as typical American sizes. They are the equivalent to 100, 110, 120, and 130, respectively, in Japanese sizes. This is approximately size 3/4, 5, 6, and 7/8 by American standards, but be sure to use the measurement chart at the front of the book to choose the right size for your child. 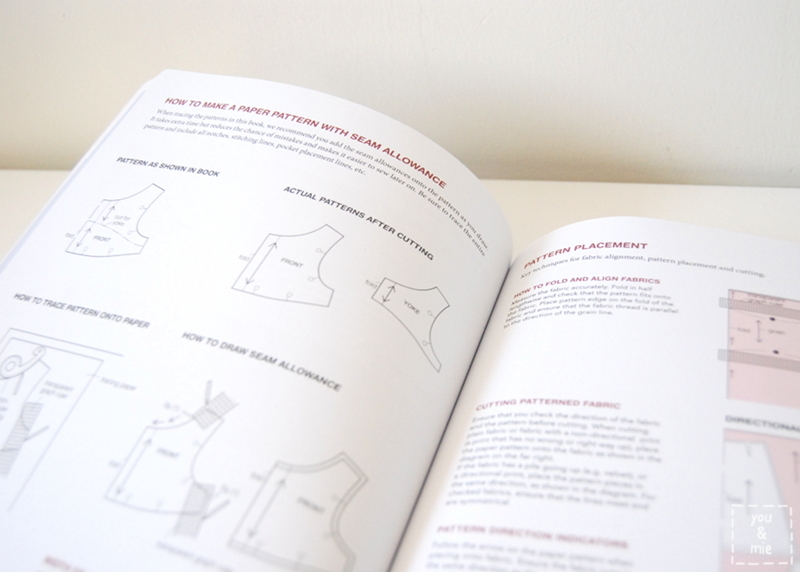 The book includes plenty of handy tips about sewing basics, materials and skills, for example, adding seam allowances to your pattern pieces! The pattern pieces are laid out on both sides of two large sheets. The pattern pieces overlap, so they do require tracing (and adding seam allowance), but they much easier to navigate than the Japanese version. 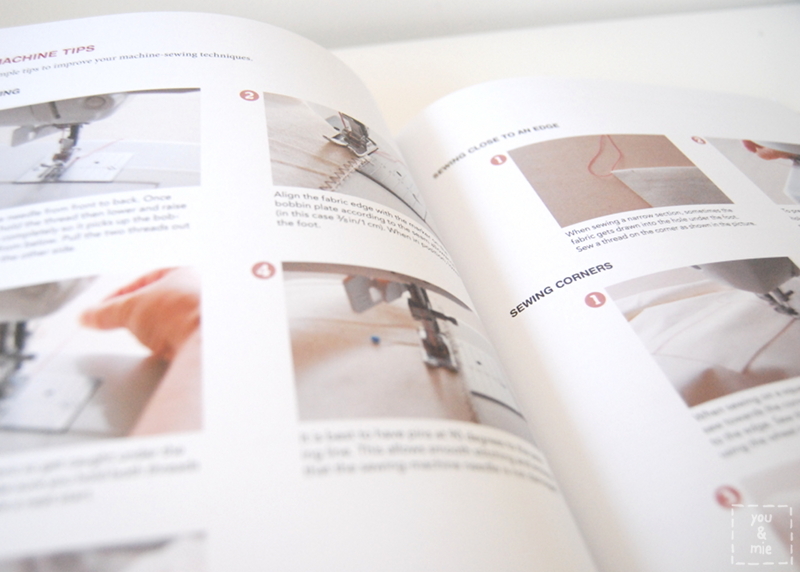 If you’re drawn to Japanese sewing books but are still hesitant to take the plunge, this is a really great first step. You really get all of the great things about Japanese patterns, but without the challenge of a foreign language. You can’t really ask for more . . .
And guess what!? 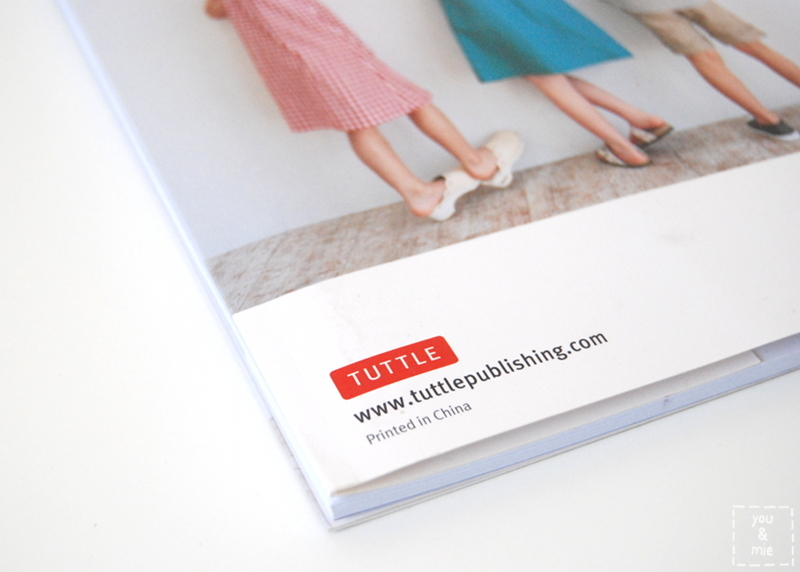 The kind people from Tuttle Publishing who have brought us Happy Homemade: Sew Chic Kids are giving away a copy to one lucky reader! – Follow me on Pinterest and leave a comment telling me you do so. This entry was posted in book review and tagged book review, Giveaway, Happy Homemade by Cherie. Bookmark the permalink. cool! looks like a great book, thanks for the chance! This post makes me sooooo happy! Oh I love Japanese pattern books! I usually find the pictures so great that I forget it is in another language, but an English version would be super fabulous! I would love this book in English! So cute! 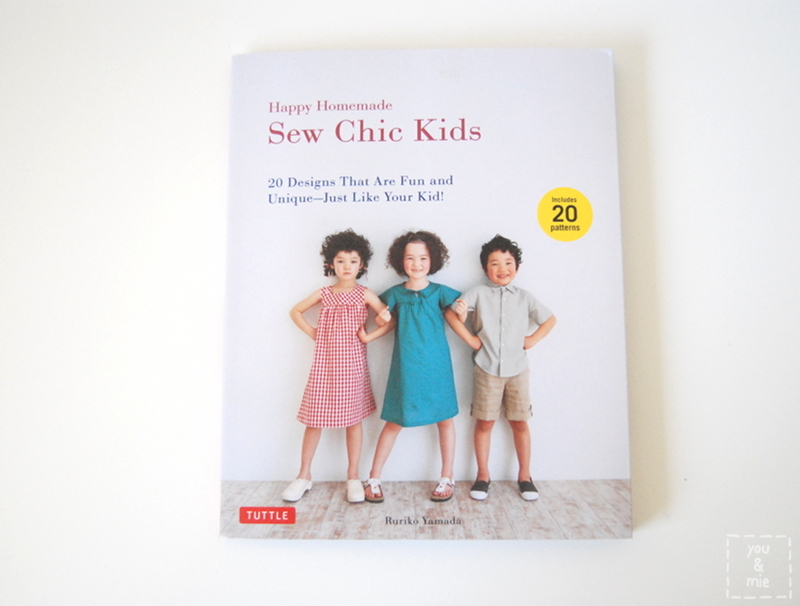 I have 4 kids to sew for, and I would love this book. Thanks for the chance to win! I’m dying to try one of the Japanese pattern books! Thanks for the chance to win one! 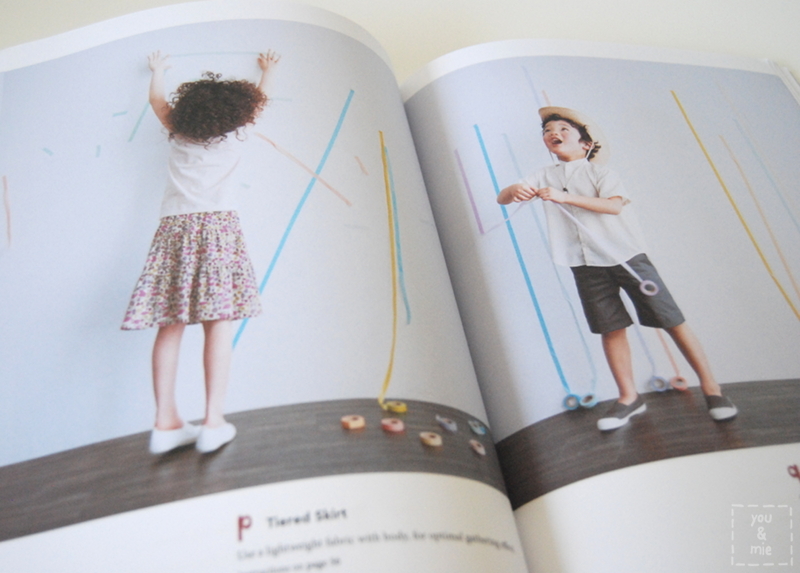 Ooh – that book looks fun! Oh boy! A japanese book in English! I’ve got one japanese sewing book (in japanese) that I’ve never sewn from. I really need to take the plunge. Also follow you on pintrest! This looks like an awesome book that I would love to sew from for my 3-1/2 daughter and soon-to-be-born son (due in July)! I’ve never sewn from a Japanese sewing book as I find them super intimidating. But one translated to English, with the patterns slightly more spread out on the pattern pages might just be the entry point. Thanks for the chance to win. Thanks for hosting an awesome giveaway!. This book has been on my wishlist for a while and I hope i win it. My boyfriend and I have been dating since high school and now are about to get married next year. I always imagine how our miniatures look like and I want to take care of them dearly, dressing them nicely. I’d love to sew them many many clothes so I keep collecting sewing books. I saw a Japanese version and didn’t know it’s got an English one. This is perfect! Try my luck ;). If not, I’ll purchase one for myself then. It’s too adorable. Awesome prize! Hope I win! I’ve had this on my wishlist since it was first released but haven’t taken the plunge yet. Glad to hear that it’s as great as the Japanese version. So cool! The book looks awesome and I only read/look at sewing related books so this is perfect! This looks like a great book! With a little boy to sew for, I’m happy to see boy/gender-neutral patterns as well. Oh! I want to win so badly! I just bought a women’s Japanese sewing book and would love this one too! Although my little boy is only one, this would be a great book for me. It take me F-O-R-E-V-E-R to sew anything so my projects take weeks to months, so having this so far in advance would be wonderful. I also have never used a Japanese sewing book. I used to live in Japan, but unfortunately did not sew at that time, so missed out on going to any Japanese fabric stores. Thanks for the chance. I am a facebook follower now too! Thanks for the review–this book looks super! love these sewing books! cute outfits. Looks like a great book! I’ve had this one in my Saved for Later Amazon cart for ages — will have to pull the trigger one of these days! would LOVE to win this book! the outfits are so cute. Same with Pinterest — following now! I really like your blog and all the sewing projects!!!! oh, I love these books! thanks for the chance! I’m so excited! I have one other Japanese pattern book but I’ve been too intimidated to try any garments yet, this book sounds like the key! How generous! I would love to give Japanese patterns a try! Love this, a translation would be so helpful! oooh! I’d love this book! Thanks! I would love to try this book out! Can’t wait! I’ve been wanting this book! Ooh, I would love to try this out! I am dying to try one of these books! So glad it’s in English! I’ve seen this book before (I borrowed it, sadly I don’t own it), and it’s great! I’m obsessed with the boy shorts – they’re perfect. Love that one can learn from the English version to help decipher the Japanese language books! I would love to win! I’d be so excited to win this! Pick me!!!! I’ve always been so in love with Japanese pattern books, but too afraid to try. I am so excited!! You make the adorablest (is that a word??) Stuff! I haven’t tried because I only understand every third word or sewing lingo in my own language… Much less someone else’s! I would so love this book though it would increase my project list considerably! 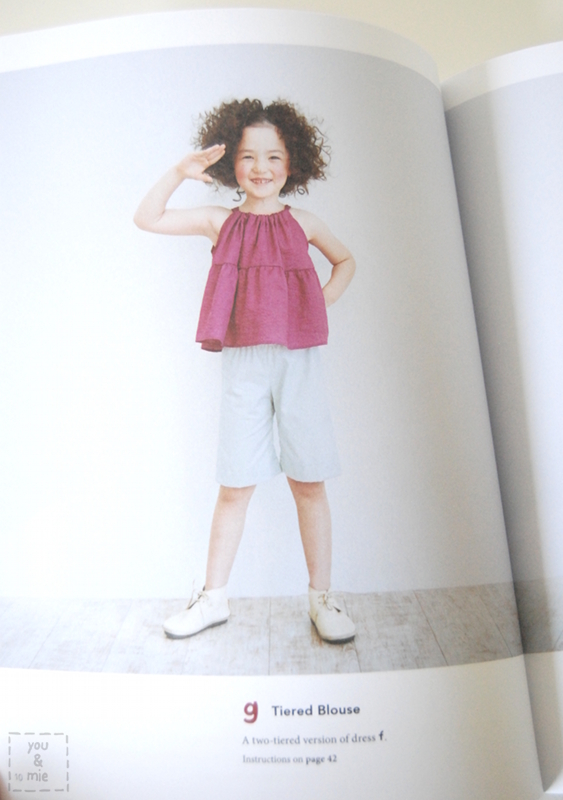 I can see lots of clothes to make for my daughters in this book. Japanese sewing book in English? Yes please! Thanks for the giveaway! This looks perfect, thank you for the giveaway! So cute! I’d love to win! This would be great for sewing for my kids. Thanks! I’ve always wanted to be able to read a japanese sewing book! I still haven’t tried any Japanese sewing patterns, but would really like to. I love the clean lines and design of the kids clothes. Thanks for the giveaway! I would love this book! I am a beginner sewer…don’t even own a pattern book. I just trace and copy my kids current clothes. I need a book! P.s. I follow you now on pinterest! And now I’m following you on Pinterest as well. Wow! I’d love to win this book! I am now following a bunch of your boards on Pinterest! hope to win this book! thanks Cherie! 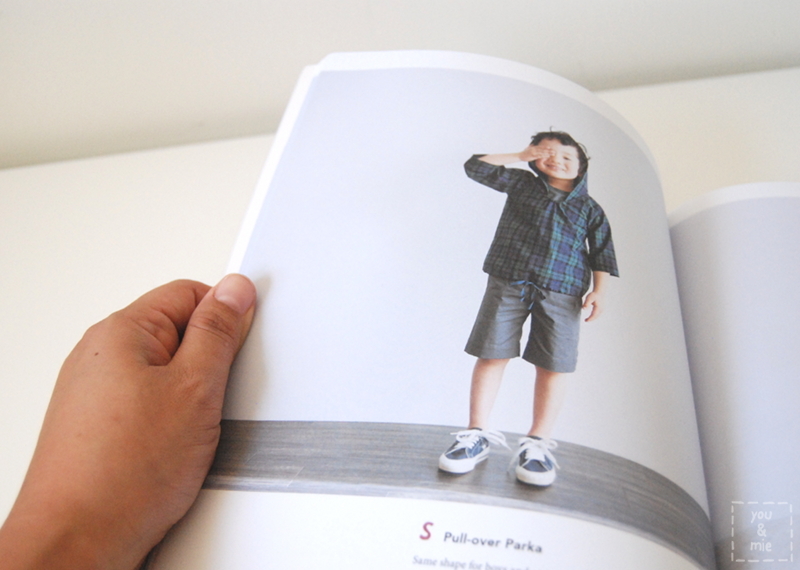 Japanese sewing books don’t come in my size (boo!) so I would love to try them out in kid sizes! Checked out and started following you on Pinterest! I wanted to look at this book for such a long time, looks great! I have this book on my amazon wishlist, it looks great! Thanks for the chance. 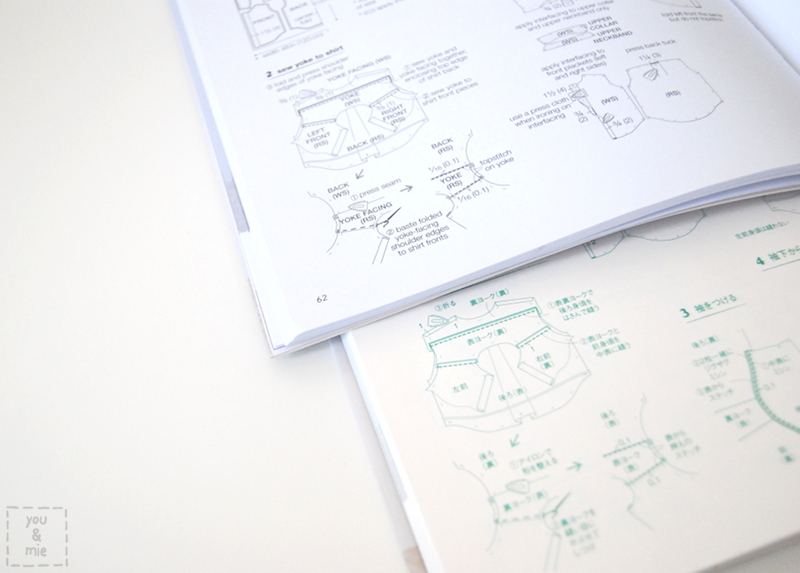 i’ve been really interested in japanese sewing books and this looks like a great way to start! Oh I have this in Japanese but I’d love to have it in English! Thanks girl! I like you on FB of course. Oh, this is an amazing book… I’m so glad an English version has been released (I need the written instructions – clearly not a visual learner!). Lovely giveaway. I love your gorgeous work! Thanks for the chance to win! This has been on my wish list since I first heard it was coming out in English! I would love this book! Japanese patterns are great! Thank you for hosting this giveaway! I’ve always wanted to try Japanese patterns, but have been afraid to! I am having trouble posting the comment — I follow you and mie on FB too. YAY!! Thank you for the opportunity!! I follow you on Pinterest and Facebook! Now, to peruse some inspiring ideas from you on your boards!! YAY! this book is already on my amazon wishlist! Would love to have it! I am so stoked! I tried a Japanese pattern before and it totally worked out, but this seems like it would be less stress. thanks so much for the information! are you aware of any similar sewing book for ADULT clothing? i need some basic summer dresses and pants, as i’ve gained weight and want a certain style not available ready-made. i love reading your blog, so informative and happy! I love to sew for my childern. I just started following your blog. Its great. wow that looks like a great book!! It would be so great to have this pattern book in English. It might help me with the ones in Japanese that I already own and don’t use! I have long been in love with Japanese sewing patterns but have been just a little scared of trying to tackle sewing patterns in another language. Marvellous news that such an incredible collection has been translated into English! Oh how I would love this book! I just recently added it to my wishlist on Amazon 🙂 I’m a beginner sewer and can’t wait to try Japanese patterns! Looks like a great book!! Thanks for the chance!!! Looks a great book, I love Japanese patterns ! You are so sweet to do this, Cherie, thank you!! Oh, I would LOVE to win this book, I have it on my amazon wish list since forever….